known as the main ingredient in antifreeze, is also found in makeup, toothpaste and in your shampoo. It can cause allergic reactions. Are common causes of eye irritation. They can also damage hair follicles. When absorbed into the body from continuous contact, they can bring on asthma attacks. some of which have been known to cause headaches, dizziness, rash, hyperpigmentation, coughing and vomiting. The National Toxicology Program found that applying diethanolamine to a mouse’s skin induced liver and kidney cancer. DEA is readily absorbed through the skin and can also be toxic to the brain. 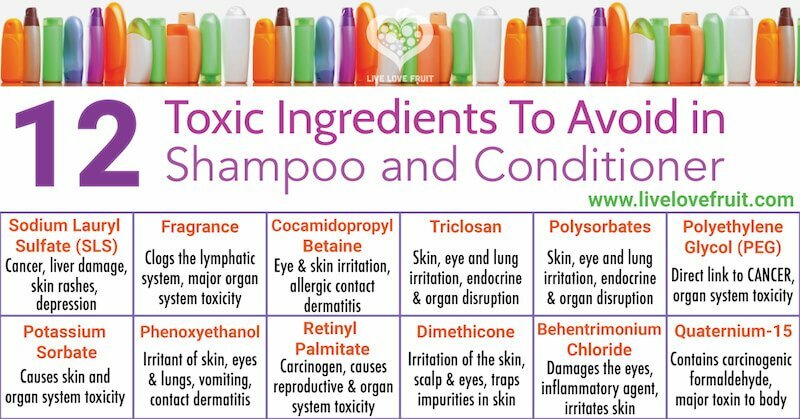 The company’s philosophy of “Why take a chance?” means there are no controversial ingredients in its hair care products. They are 99.8 percent vegetable derived and as close to natural as possible while effectively cleansing without causing irritation to eyes or skin or damaging hair.